Professor Deirdre Coleman researches on eighteenth-century literature and cultural history, focussing in particular on natural history, colonialism, the anti-slavery movement, and racial ideology. She has published in ELH, Eighteenth-Century Life and Eighteenth-Century Studies, and is the author of Romantic Colonization and British Anti-Slavery (Cambridge University Press, 2005). More recently she co-edited (with Hilary Fraser) Minds, Bodies, Machines, 1770-1930 (Palgrave, 2011). Her new book on the life and times of Henry Smeathman (1742-86) is entitled The Flycatcher: Natural History, Slavery, and Empire in the late 18th century. She holds the Robert Wallace Chair of English at The University of Melbourne. 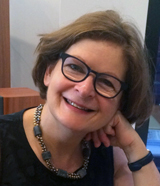 Dr Vivien Gaston is an Australia Research Council Senior Research Fellow in the School of Culture and Communication, The University of Melbourne, working on the project 'Human Kind: transforming Identity in Australian and British Portraits 1700-1900 in the National Gallery of Victoria'. She was a lecturer in the history of art at Monash University (1998-2005), the University of Melbourne (1997-98) and the Royal Melbourne Institute of Technology (1997). In 1995-96 she was a post-doctoral research fellow in the School of Fine Arts, Classical Studies and Archaeology, The University of Melbourne. She has curated two major survey exhibitions. The Naked Face: self-portraits, National Gallery of Victoria (3 December 2010-March 2011), focused on self-portraits in the NGV collection, which received wide attention from press, media and academia, featuring in The Age, The Australian, numerous on-line reviews and on ABC television. Controversy: the power of art, Mornington Peninsula Regional Gallery (21 June-12 August 2012), surveyed past, present and future controversies in art and received widespread media coverage. A third exhibition Intelligentsia: Louis Kahan's portraits of writers, The Ian Potter Museum of Art (29 March-22 April 2009), was the subject of two radio interviews, an academic review and a symposium held at the Ian Potter Museum of Art. Her publications include The Naked Face: self-portraits, National Gallery of Victoria, in 2010-11, The Long Portrait Gallery: Renaissance and Baroque Faces, 2010, and numerous articles on subjects ranging from 16th-century Italian painting to 18th-, 19th- and 20th-century portraits. Her MA research on Machiavelli, Savonarola and Rosso Fiorentino was published in the Journal of the Warburg and Courtauld Institutes, Vol. 51, 1988. Vivien is regularly invited to give public lectures on a wide range of art historical subjects and to give interviews to press, radio and television, including the ABC Art Nation television program. She has convened and moderated seven conferences and symposia at The University of Melbourne, Mornington Peninsula Regional Gallery and the National Gallery of Victoria. 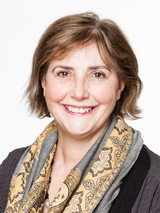 Associate Professor Alison Inglis resides in the Art History program at The University of Melbourne, and is the Acting Director of the Australian Institute of Art History. 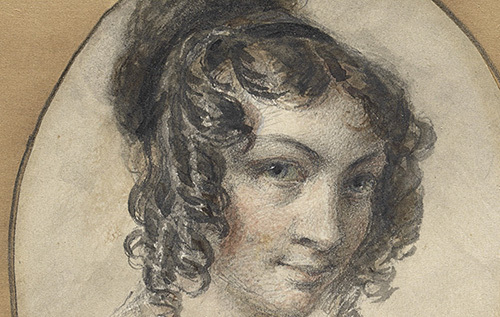 She teaches, researches and publishes in the areas of nineteenth-century British and Australian art; artists' materials and techniques; and museum studies (especially the history of museum collections and exhibitions). Her experience in the field of art curatorial studies is reflected in her current membership of various museum boards (including Museum Victoria and the Duldig Studio) and her appointment as Emeritus Trustee of the National Gallery of Victoria in 2010. Alison's current research includes two projects funded by the Australian Research Council. One project examines British and Australian colonial portraits, dating from 1700 to 1900, in the collection of the National Gallery of Victoria. The other investigates exhibitions of Australian art between the years 1968 to 2014. Other research interests include: the circulation of art within the British Empire; and art and philanthropy. 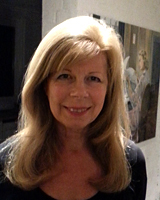 Her recent publications include: Scots under the Southern Cross: Scottish impressions of Colonial Australia, (edited with D. Cahir and A Beggs Sunter), Ballarat, 2015; For Auld Lang Syne: Images of Scottish Australia from First Fleet to Federation, (with Patricia Macdonald), Art Gallery of Ballarat, 2014; 'The Empire of Art' in The Victorian World, Routledge, 2013; Imperial perspectives on art in nineteenth-century Australia, The Cambridge Companion to Australian Art, Cambridge, 2011.